One of the thrills of staying at the Thanda Safari Lodge is the knowledge that our Lions are very close by when one is relaxing on the lounge deck or in one’s private plunge pool. Together with her mother this Thanda North Pride Lioness had just passed through the Lodge area when we were able to get these images on our afternoon game drive. They two ladies were hunting for their large family. 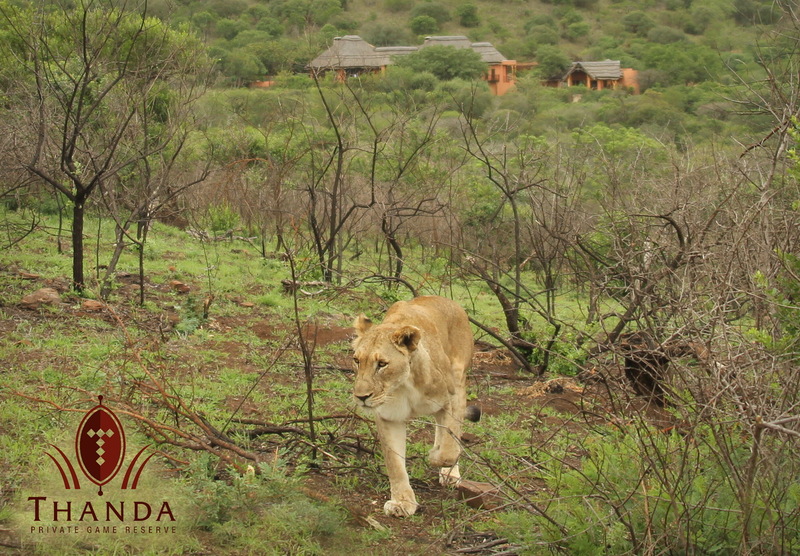 Lion and Lodge – What an experience!